The World’s Best Female Chef Ana Ros of Hisa Franko is among Tasting Australia’s festival stars of 2017, as the event expands further into South Australia’s famed food and wine regions. 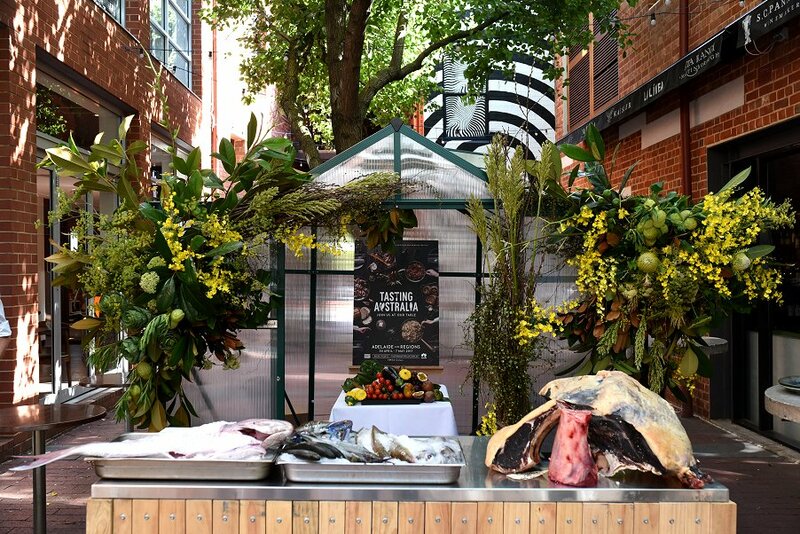 Tasting Australia, the country’s pre-eminent food and wine festival, will showcase South Australia’s premium produce across eight days from April 30 to May 7 in its first annual event. Slovenian chef Ros, who was awarded the title by the World’s 50 Best Restaurants academy this month, is recongnised for her zero kilometre approach to sourcing produce. For the first time, Tasting Australia includes events in York Peninsula and the Murraylands/Lakes and Coorong, while the number of events in the Riverland region has grown as part of the stronger focus on encouraging visitors to explore the State’s regions. Almost making its debut at this year’s festival in Town Square (Victoria Square) is the Glasshouse Kitchen. It will be a showpiece restaurant for the festival constructed from glasshouses, where Ros and the line up of guest chefs including Marco Pierre White will cook along side local heroes every night. The first events of Tasting Australia 2017 will be released tonight and the full program will be unveiled in late March. For more information please visit the website here.